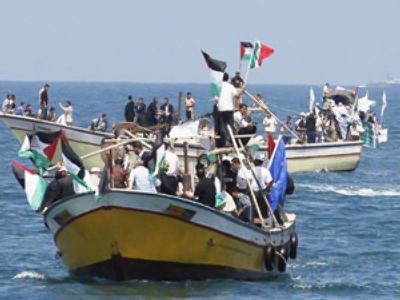 Free Gaza has announced it is ready to go on with their new attempt to sail through the Gaza Strip sea blockade. According to activists from the US and Europe, the ships carrying citizens from 22 countries and a few dozen reporters are on track to sail out of a number of European ports. The French and Irish ships are already sailing, while the rest are getting ready to join them en route this week. 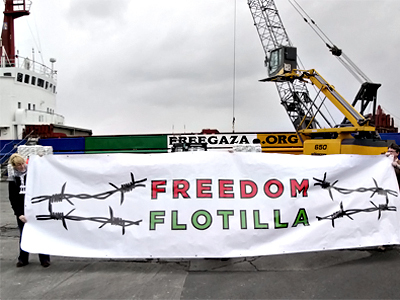 This sailing campaign is referred to in the media as Freedom Flotilla Two, but in truth this is already the tenth attempt to break through to the Gaza Strip by sea since 2008. This time the flotilla consists of eight passenger and two cargo ships. In case of success, they will be joined by one or two more boats. 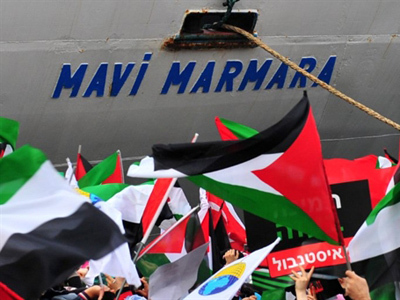 Limits were imposed on the number of participants ten days ago when the flotilla’s largest ship Mavi Mara was pulled out of it on June 16, which made the organizers review the passenger list, reducing it by nearly 800 people. The exact number of participants has not been disclosed. According to the flotilla’s organizers it ranges from 300 to 600. We know that this time the flotilla is joined by a US ship carrying 40 people. A quarter of them are of Jewish descent, including some Jews who were born in Israel but emigrated for political reasons. Pulitzer Prize winning author Alice Walker is among those planning to sail on the American ship. She visited the Gaza Strip after the 2008 and 2009 bombings and wrote a book about her trip. The American crew is lead by Ann Wright, a former US Army colonel and ex-diplomat. Another notable member on board is 87-year-old Holocaust survivor Hedy Epstein, who lost both her parents to Nazi death camps. This is her fifth attempt to sail through to the Gaza Strip. 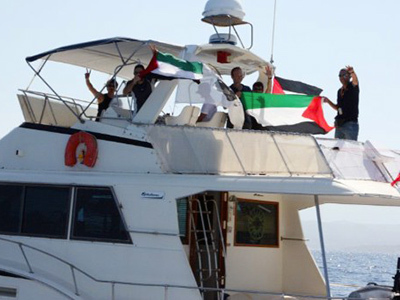 The youngest member of the flotilla is 22-year-old American Max Suchar who, despite his young age, has been a tireless champion for Palestinian rights for seven years now. “We already won. We are doing nothing but staying in Greece while Israel is trying hard to persuade the whole world that not only they allowed a shipment of construction materials and medical equipment to the Gaza Strip, but they also welcome the UN to actually build homes for people there! Their cabinet started the meeting at 5pm yesterday and they’re still in trying to figure out what to do about us,” say the more optimistic flotilla members. Mostly, the optimistic-minded ones are the Americans. “What they did was gather the reporters at the Erez Crossing to have them shoot a couple of cement trucks, and after the shoot was over they simply turned the trucks back –they allow no shipments into the Gaza Strip,” respond the more pessimistic members of the flotilla, mostly Europeans. 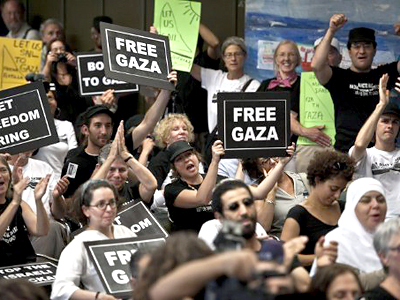 Free Gaza does not disclose any dates, departure terminals, or route details. Neither do they make public lists of the people or their total number. This time, even the list of reporters is held in secret.Two journalists, upset by this fact, left the packed press-conference room in Athens in protest. The boat I have been accredited to join carries ten other journalists. All the other boats carry about the same number of media representatives. Neither Israel’s threats to deport all reporters who cover the breaking of the Gaza Strip blockade, nor the news of the threats being dropped in any way affected the determination of the journalists I had a chance to talk to. “No one from the previous flotilla ever got back their laptops, cameras, phones, bank cards, or cash. 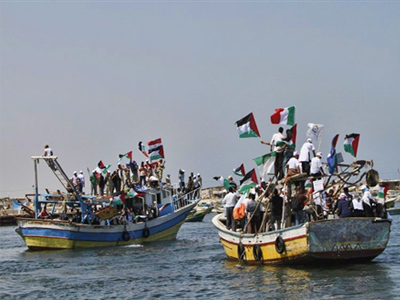 There even was research confirming that Israeli Army officers withdrew funds from flotilla members’ bank accounts, and that confiscated personal belongings later surfaced on stolen property markets. That’s what you should be prepared for,” says American lawyer Greta Berlin to the passengers. Most of the journalists are not concerned about the equipment as it is all insured, although the footage of the Israeli water cannons smashing the ship’s windows never fails to leave an impression on those who never came across such methods of dealing before. 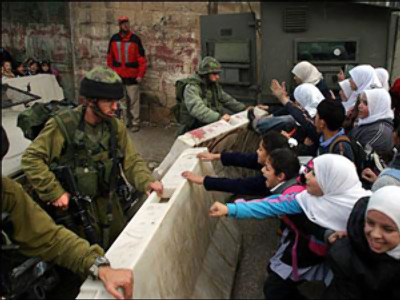 “There is no way you’ll miss it when we reach the Gaza Strip shore. And if we do, we’ll have all the people there meeting us and won’t have to worry about where to stay overnight.” Thus Dror Feiler, Israeli-born composer and musician to sail on the Swedish ship, stops the shower of questions from the reporters.